Hit down on the ball to create maximum spin. Imagine your golf ball landing about twenty feet behind the pin--and then as if by magic, it draws back near the cup. The ability to make a golf ball back up is especially helpful when the pin is close to the front of the green or right behind a sand trap. 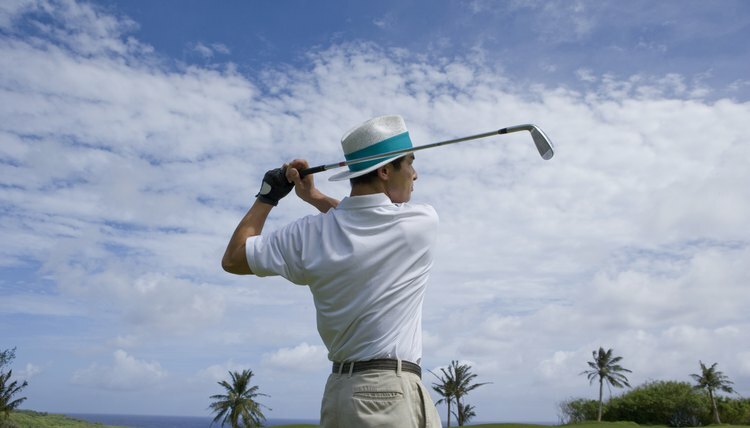 You probably don't make the golf ball back up as often as the professionals do on television, but practicing these easy steps will add backspin to your golfing arsenal.